The following guide will explain how regulations affect fire safety and the standards must be met. Structural elements (floors, walls, beams) with fire resistance of at least 30 minutes. Fire-rated plasterboard and finishes a minimum of 12.5mm thick. Exposed steel beams finished with intumescent paint and a flame-spread resistant top coat. 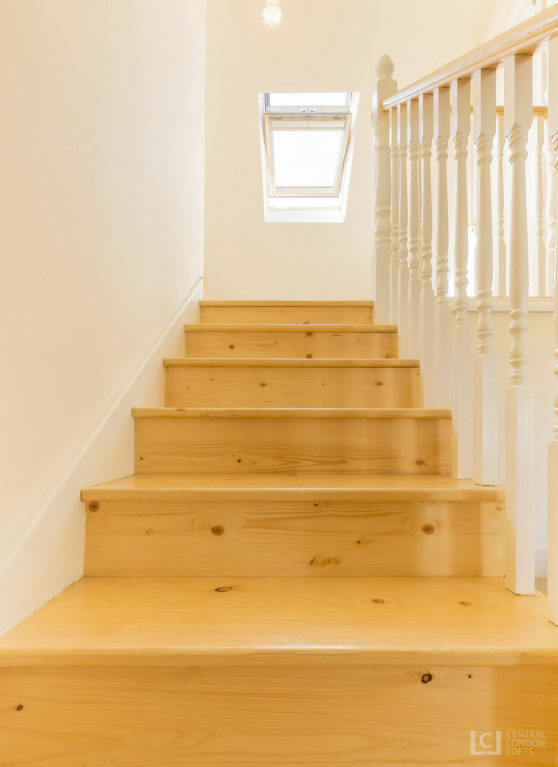 Interior timber must be of Class 1 rating, or finished with Class 1 rated coatings. If you’re unsure what any of this means, we recommend speaking directly to your supplier or loft conversion company about fire safety in lofts. 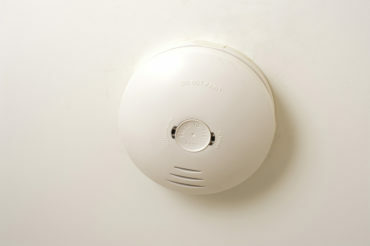 Building regulations demand that smoke detectors/alarms are mandatory and there’s a few specific guidelines to follow. The Building Regulations stipulate that there has to be a protected escape route from the loft to the ground floor exit door. This ‘protected corridor’ must have passive fire protection for at least 30 minutes to ensure loft conversion fire safety. This might sound difficult but it’s much easier than it sounds. The staircase is built from the front door entrance hall most of the time and as the containing walls should already be built to fire protection standard, the corridor is already in place. 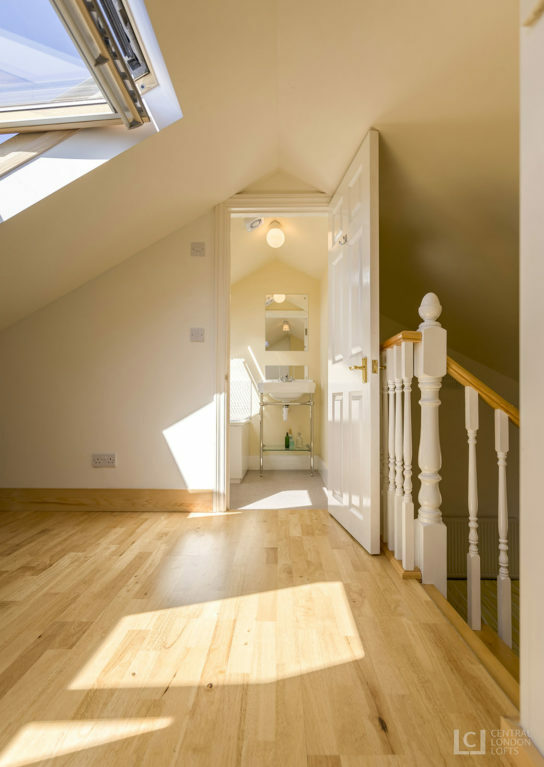 Before you finalise your loft conversion plans, all the partition walls along the escape route must be properly assessed to ensure they are in line with loft conversion fire regulations. The latest major change to loft conversion fire regulations was made in 2007. The biggest change at this time concerns the replacement of interior doors with fire doors. Prior to this change you could retain old doors as long as they were self closing, but authorities realised these tend to be wedged open so it is no longer sufficient. New fire safety rules disclose that any doors facing the designated escape route from the loft conversion must be fire resistant to 20 minutes as standard. Contrary to what many people believe, fire doors must be installed even if there is an escape window fitted in the roof. It’s recommended that self closers are fitted to all fire doors since a wedged open fire door is completely useless. An FD20 grade door is sufficient though an FD30 adds more and is generally more recommended. Intumescent strips are fitted into the door itself and the frame so that if fires occurs they swell and seal off the area that is generating smoke. The loft must be built with 30 minutes of fire resistance in order to protect the residents should a fire break out. This means that a fire door must be fitted to the loft stairway. 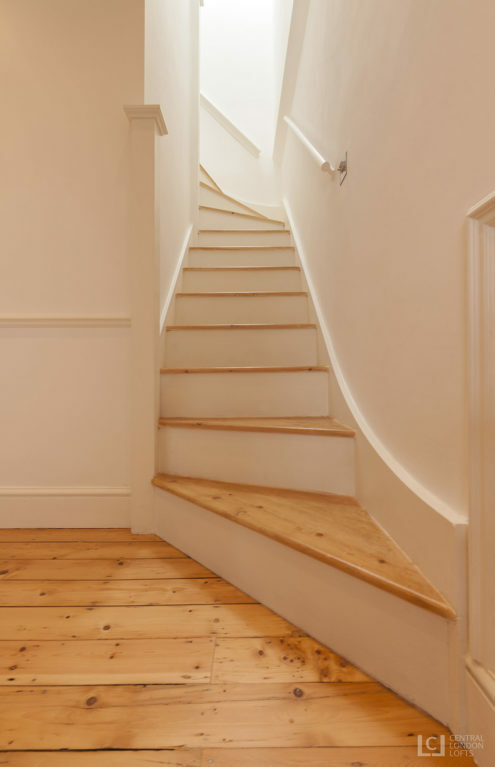 If the new staircase or flight of stairs run directly above the existing staircase then the new fire door can be position at the top of it on a small landing. If the loft stairs are located away from this existing staircase, then the fire door must be positioned at the bottom of the stairs. Any glazing within the enclosure to the existing stair should be fire resistant. Also, new stairs leading to the new storey should meet requirements by being a continuation of an existing stairway. Or in an enclosure that is separated from the existing stairway. It’s no longer necessary to fit escape windows into a new loft conversion as there are many other ‘means of escape’ windows on the market. These provide the same functionality without costing more than skylights or ordinary windows. When converting your loft it’s important that loft conversion fire safety regulations are followed. If you’re converting your loft yourself, it is advisable to seek guidance from your council’s building control officers. At Central London Lofts, we always strictly follow fire safety regulations.